The most exciting, daring and awesome ingredient of any lumo party. Totally safe on skin and as face paint (cosmetic grade) - washes off. Perfect for parties, functions and events. 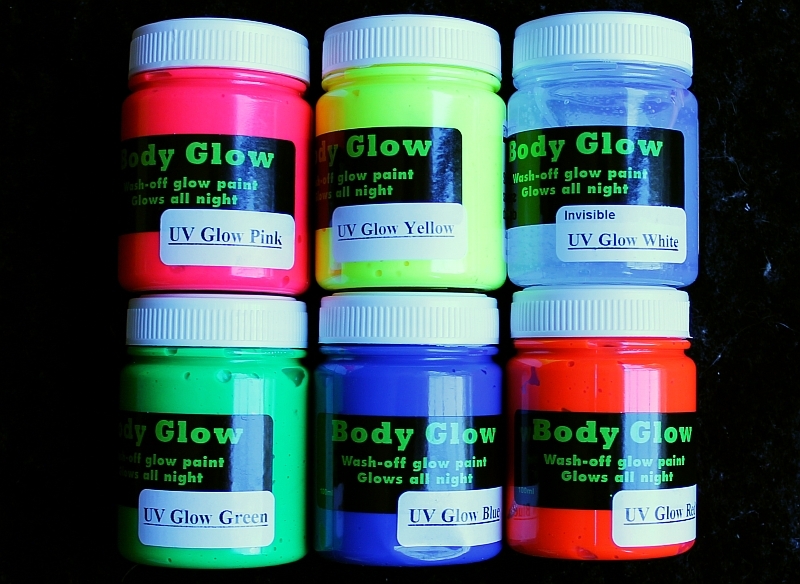 UV Body Paint is available in 6 colours.